Fennel Tea: Is acne making your life miserable? re all those expensive anti-aging and brightening creams doing nothing but costing you a fortune? Do you feel your skin needs a detox? Give yourself a break from all those synthetic creams, lotions and tablets. Put and end to all skin problems and have a cup of nature’s refreshing fennel tea! Fennel seeds have a deep and rich history. They were used in prehistoric times as a medicinal and culinary herb, dating back to ancient Greece and Rome, where it was used in traditional rituals and celebrations as a symbol of nature. Roman warriors often chewed fennel seeds to achieve strength in their bodies. Ancient Greeks claimed that fennel seeds lowered appetite and reduced weight. They referred it as “marathron” which means to “grow thin”. Greek doctors would prescribe fennel tea to lactating mothers to increase breast milk. During the middle ages, fennel was also hanged outside houses to ward off evil spirits. Fennel seeds have had immense popularity in skincare, digestion and body detox in Ayurvedic medicine as well. 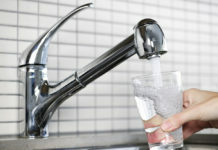 Ancient Chinese, Indian and Egyptians used it as a cure to snake and insect bites and also to purify their bodies. The wide range of benefits comes from its rich source of dietary fiber as well as minerals like copper, iron, calcium, potassium, manganese, selenium, zinc, and magnesium. It also contains numerous vitamins such as Vitamin A, E, C, and B, and several antioxidants, which help in uplifting the immune system and protecting against heart disease. 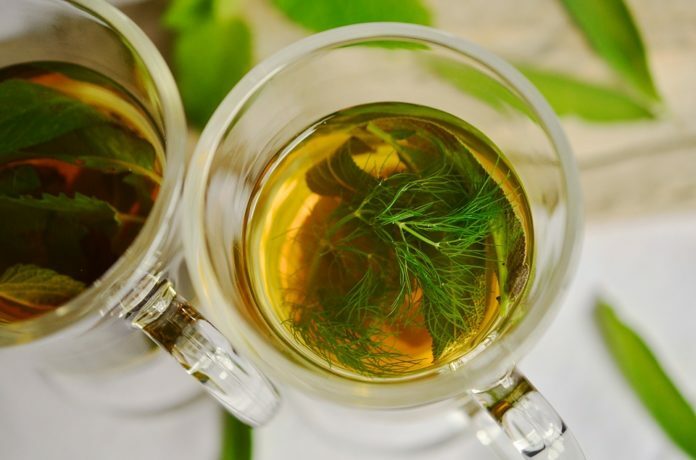 If you have digestive problems like gas, belching, and bloating, a cup of fennel tea after a big meal can be the most effortless, natural and perhaps one of the most effective remedy. Fennel also diminishes bad breath and has antibacterial properties in the mouth. Fennel seeds being a great source of countless vitamins and antioxidants are proving to be a game changer in skin care. Fennel seed also comprises of a number of essential oils. Some of these include anethol, fenchone, limonene, pinene, myrcene, chavicol, and cineole. Antioxidants like superoxide dismutase, catalase, and peroxidase in fennel, contributes in protecting the skin from environmental stresses. The effect of fennel tea on acne is remarkable! Fennel has antiseptic and anti-inflammatory potentials. Its antiseptic properties comes from essential oils that it comprises of, specially anethole while anti-inflammatory properties comes from the ample amounts of Vitamin C and other essential oils like myrcene and limonene. As a result, it not only kills acne-causing bacteria but also helps in reducing acne swelling and inflammation. Fennel also acts as an astringent on skin. It tightens pores, reduces oiliness and can even shrink large pores, all of which can lead to acne problems if not treated. Drink a cup of fennel tea twice a day and also apply on skin (store in a spray bottle) daily to reap maximum benefits! Anti-aging creams cost a fortune and seldom work the way you expect them to. Fennel tea has astounding benefits in delaying wrinkles and fine lines. Copious quantities of antioxidants remove free radicals that rob oxygen from your skin. Fennel tea when applied to skin, nourishes and moisturises your skin, keeping it soft and supple. Rich in Vitamin B and Vitamin C that are essential for maintaining good skin health, fennel even boosts collagen synthesis to keep the skin firm and tight. A 2012 study published proved that a cream containing fennel extracts had anti-aging effects on the skin. It enhanced skin texture and skin moisture as well. Fennel is a natural diuretic and can put an end to your water retention problems. Sometimes all you need is some detox to freshen up your system and flush out chemicals and toxins from your body. Fennel tea increases good urine flow and protects your liver from alcohol damage. It helps flush out acne causing toxins from your system hence purifying your body internally and externally. To make a detox tea with fennel, add 1 tablespoon of fennel seeds into a pan of hot water. Let it steep for 20 minutes. Drink this tea on an empty stomach regularly for detox effect. Fennel seed infusion can cleanse skin by unclogging grime, dirt, excess sebum, excess dead cells and germs from deep within pores on your skin. Chavicol in fennel seeds cleanses and tones skin. Having astringent properties, it tightens pores, reduces oiliness and can even shrink large pores. To make a fennel tea infusion for cleansing, take 1 tablespoon of fennel seeds into a pan of hot water and let it steep for 20 minutes. When it cools, add 2 drops of tea tree essential oil (unclogs blocked pores) and store it in an empty glass container or bottle covered. Soak a clean cotton ball and wipe your face with it. Apply this everyday and admire the results! Fennel seed tea can also be soothing and toning for the skin as they can reduce puffiness and superficial irritation. It not only hydrates and increases blood circulation but also has a firming effect on skin that maintains its elasticity. Apply fennel tea (store in a spray bottle) twice a day to tone your skin! Fennel tea infusion has a cooling and hydrating effect that can provide instant relief to hot puffy eyes. Its anti inflammatory properties can also relieve red itchy eyes instantly. For puffy eyes, make a strong tea with fennel seeds. Let it steep for 5 minutes then strain and refrigerate until cold. Soak two cotton pads with cold fennel water and let it soothe your eyes for at least 5 minutes. Polycystic ovary syndrome (PCO) is a hormonal disorder found in women of reproductive age. Acne and oily skin are typical symptoms of this disorder. Fennel tea is a successful herbal remedy for such issues. Fennel not only contains plant form of estrogen called phytoestrogens but also increases production of estrogen in your body, which can promote hormonal balance. It is a condition in which the skin develops areas with underlying fat deposits, giving it a dimpled and lumpy appearance. Women are mostly affected by it at some point while some men can be affected too. The exact cause isn’t known, but some factors maybe hormones, genetics, diet, clothing and lifestyle factors such as lack of exercise and smoking. An infusion of fennel seeds applied into affected skin will smoothen, hydrate and remove unsightly cellulite. This is where essential oils come in handy. They improve circulation to get more oxygen to the cells, which assists the body to get rid of fat deposits on its own. Fennel seeds are rich in essential oils and can help treat this condition along with other herbal products. Fennel is shown to have antifungal properties. When grown next to plants often attacked by fungus, it helps in preventing fungal growth on those plants. These astounding effects can be seen in people as well specially skin candidal infections. A study published in the Indian Journal of Dental Research showed that fennel capsules can be just as effective at treating a fungal infection as taking a synthetic antifungal drug and might even be an economical and safer. The researchers proposed it as a viable and easily attainable alternative or an additional remedy to pharmaceutical products in anti fungal treatments. Fennel seeds, flowers, stems, leaves and bulbs or roots are all consumable but seeds are most popular. All of these can be used to make teas and infusions with water and other essential oils along with some herbs. Some of these recipes are listed below. Place it in a strainer and pour 1 cup of boiling water over them. Allow the seeds to steep in the boiling water for 7–10 minutes. Remove the strainer and top up with a little more hot water. Pull fresh, fine green leaves off a fennel bulb and rinse well. Pour 1 cup of boiling water over it. Add the leaves and allow to steep for 15–20 minutes. Pour boiling water over the top and steep for 15–20 minutes. Remove strainer and add more hot water. May react with drugs: Drink this tea in moderation if you are prone to blood clots. May not be suitable for some cancer patients: Avoid this tea if you have estrogen-dependent cancer. May harm fetus: Do not drink too much fennel tea if you are pregnant, as it might become toxic to the fetus and interfere in development of endocrine system of your baby.